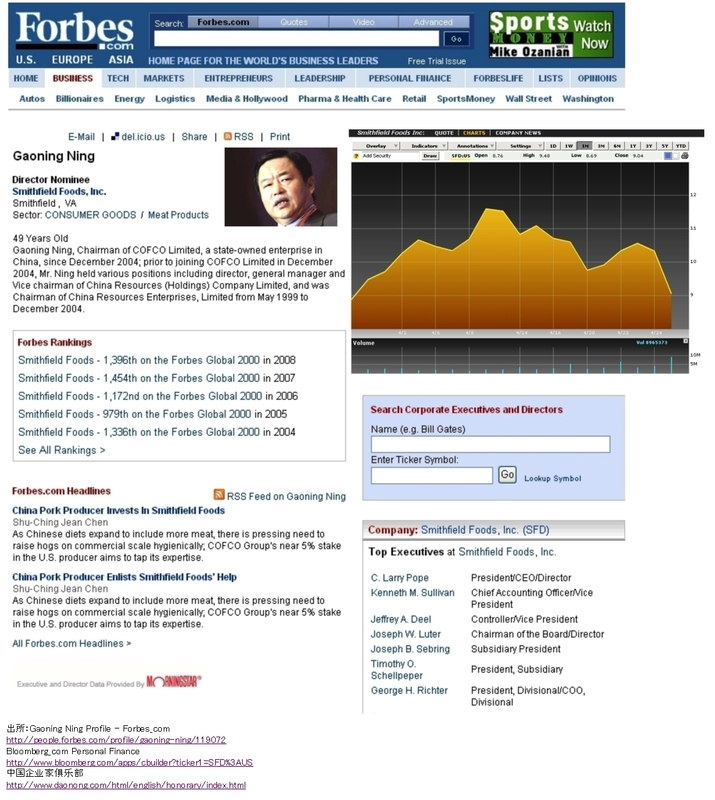 Gaoning Ning, Chairman of COFCO Limited, a state-owned enterprise in China, since December 2004; prior to joining COFCO Limited in December 2004, Mr. Ning held various positions including director, general manager and Vice chairman of China Resources (Holdings) Company Limited, and was Chairman of China Resources Enterprises, Limited from May 1999 to December 2004. Ning is the Chairman of COFCO. A graduate of Shandong University, he majored in economics and later obtained an MBA degree from the University of Pittsburgh, USA. Prior to becoming chairman he was vice chairman and general manager of China Resources (Group) Co., Ltd. and China general manager of China Resources Corporation.